A complete collection for the modern home. Thoughtfully designed, Voice’s 2018 furniture range aims to provide a comprehensive solution for modern living spaces. The Swedish brand takes cues from the apparel industry by offering a selection of fundamental pieces of furniture. All of them displaying the best of modern Scandinavian design. Stockholm-based designer Mattias Stenberg has overseen the collection, acting as Voice’s new creative consultant. The 2018 range includes five of his product designs, along with selected designs from London design studio Cate & Nelson and Swedish designer Nina Jobs. Made to stand the test of time both in terms of visual appeal and functionality, the furniture collection blends premium materials and skilled detailing with restrained, modern Scandinavian design. Not merely minimalist, these products display impressive craftsmanship and a reduction of excessive details to uncover the objects’ essence. Throughout the range, proportions remain in a perfect balance with colors and textures. 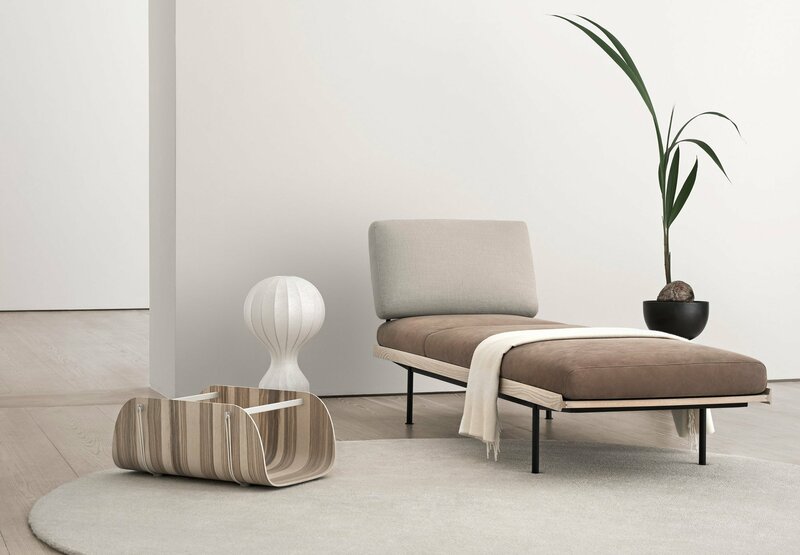 Mattias Stenberg’s own designs include a stool and an upholstered daybed that also doubles as a sofa. Other products include a storage unit, a cabinet that takes inspiration from 1960s designs, and a stackable, multi-functional sideboard. Cate & Nelson designed a wall mounted shelf system for the collection, while Nina Jobs created Tre, a standalone shelf unit that features a blend of wood and lacquered metal. The range boasts neutral colors and shades of navy blue as well as warmer brown colors. Launched at the Stockholm Furniture Fair, the Voice 2018 collection will surely find its way into many homes this year. Photographs© Voice.